I am by inclination a 'buy and hold' investor, as shown by my recent retention of a couple of dividend cutters (RSA Group and Morgan Sindall) but sometimes it is time to sell. 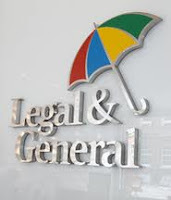 Legal & General are one of the previous 'dividend cutters', which means at the very least a 'black mark' for dividend investors - if not immediate sale. I have been holding them since 2007 and reviewed them back in November 2011, when I felt it was worth holding on for a recovery in the share price. The price has now reached the price I paid for it in 2007 and, as the yield is well below my portfolio average (around 5.5%), I have sold off my modest holding. Another reason for the sale was the big deal that Legal & General has made with BAE Systems to insure that its 31,000 pensioners don't live too long. Given the trends in increased longevity, this strikes me as building up trouble for the future - revenue for the present but costs for the future. Students of financial psychology will know that my sale may be a classic case of 'anchoring' - fixating on a particular price (in this case the purchase price). Make no mistake, this is a powerful instinct. But I think that if you are a 'buy and hold' investor, my experience is that much of the long-term benefit can be lost by premature sales. is the yield below the portfolio average? is the share price above the purchase price? However, if the company's business model is sustainable and is it likely that the share price will recover, I will usually hold on. And I am holding on to some 'difficult' shares, including Lloyds Bank, RBS, William Hill, Home Retail Group, Centaur Media and BT Group. It seems that this is one of the occupational hazards of investing in high-yield dividend shares. The Hemscott website shows 2011, 2012 (estimated), 2013 (estimated) dividends of 5.08p, 7.37p, 7.90p per share respectively. Can you please clarify your source that shows L & G will cut the dividend ? I'm considering buying this share. Any info would be greatly received. They have cut the dividend in the past. I've amended the post to make this clear.